In its chic and inviting eatery, Chianti's Ristorante serves classic Italian fare with passion and know-how. Appetizers include the prawns sautéed in a white wine pesto sauce, toasted bruschetta and the salmon carpaccio with mozzarella and capers. Chianti's Ristorante's house specialties include the hearty meatballs with spaghetti in a peppery tomato sauce, the baby manila clams with linguini, the chicken gorgonzola with apples, mushrooms and sun-dried tomatoes and the Italian sausage cannelloni. A vast selection of vegetarian dishes abound, with options like artichoke stuffed ravioli, pasta primavera and the classic eggplant parmesan being just a couple of the tasty highlights. Enjoy Chianti's Ristorante's luscious tiramisu, made with espresso drenched ladyfingers and mascarpone cream, with a rich cup of cappuccino. For a wonderful night out filled with authentic and delicious Italian cuisine, Chianti's Ristorante does it best. We were told the soup was cream of broccoli. Three of us ordered it. When it was served, it was the color orange. We asked if it was cream of broccoli. Waiter said yes. We asked why it was orange, he said he didn't know but insisted it was broccoli. He then left. We took a few bites and knew it was not broccoli. Waiter came back and said it was actually cream of tomato. We said we never would have ordered it if we knew that was what it was. Since we had already taken a few bites, waiter left. We were then charged $6 for this soup. We feel we should never have been charged for this since we were given wrong information. We did ask for it to be taken off bill, and he said he would ask manager. He gave us new bills without the soup charge. Waiter was definitely NOT FRIENDLY throughout this whole interaction. And one of us ordered Mediterranean Salad which was terrible - lots of iceberg lettuce and little of anything else. It had no taste, and looked awful. We have been to previous location of Chianti's many times before and always were happy. New location still working the bugs out, but attentive to all our needs and concerns. Had 2 first time guests that we're very impressed with the service and food. This is always on our list when considering an evening out with or without guests. Chianti's always comes through with delicious food and wine. We love the service and are very excited about their upcoming expansion! More Chianti's! 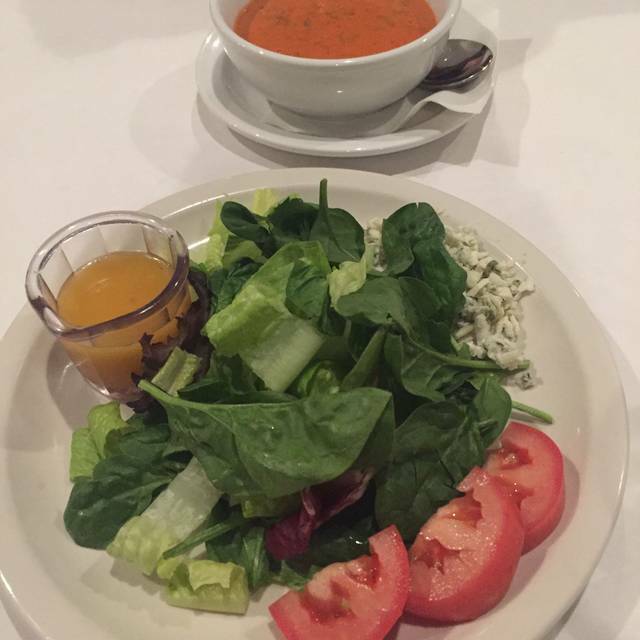 Chianti’s is one of our favorite restaurants in Brentwood! We love meeting friends there and being able to carry on a conversation without the usual din typical of larger restaurants. Every meal has been a wonderful and intimate experience. Great owner and waiters and best salmon ever! We’ve been coming to Chianti’s since we moved to Brentwood in 2015. The food is always excellent, great neighborhood place. Our friends from SF enjoy the drive from the city for the great food and spot on service. Michael is our requested server. Michael excellent, always remembers our cocktail order, pleasent and friendly. Little Italy Brentwood. Chiati's reminds me of the Italian restaurants I experience in San Fransisco and New York. My wife and I really enjoyed our lunch. I wanted to check out another potentially good restaurant in my neighborhood but I was underwhelmed. The service was not friendly and the servers were not knowledgeable of the food they were serving. 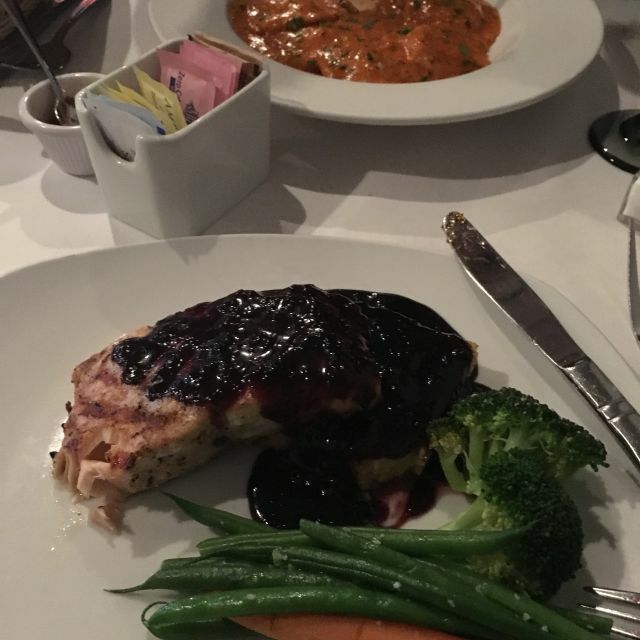 I switched plates with my friend because the blueberry salmon was too sweet for an entree. The ravioli was good. The restaurant itself felt dingy to me. The lighting was dark rather than ambient. I may go back in the future, but not pressingly. We had 4 people for dinner, and everyone enjoyed their meal. The bruschetta appetizer was absolutely excellent, the best ever. The Chicken Marsala was cooked to perfection but lack that little zing a good Marsala should have. The Beef Bolognese was very good but the portion was a touch small. They could also improve their vegetable sides with a hint of garlic. The service was excellent and the noise level very low until the place filled up,but even then was acceptable. All in all, a very good dining experience. We'll be back. Made reservations for early dinner on a Friday night. I'd been there before and the place was packed. Wait staff very attentive and friendly, exceptional food! They started us off with toasty bread with a wonderful spread. Service well-timed and lots of wine options. We had Halibut special, Chicken Picatta and Gorgonzola Chicken and everyone thoroughly enjoyed their choices... nothing left behind. Setting reminiscent of a restaurant in Italy. Can get loud when the place is full, but not so much that you can't communicate with your party. Great food and wonderful service. Enjoyed a lovely lunch with friends. Food and service were outstanding! Dinner there is an "experience". Service was extremely slow. Although it was a Friday night, and that’s understandable, there should’ve been more personality provided by the wait staff and owner. The owner smelled of nicotine as if he continually goes outside and smokes, so that every time you set a table down next to us or walked by, it smelled like a chimney or an ashtray from the 1970s. The food had some high points. My chicken piccata was very fresh tasting and I loved the lemon caper sauce. My wife’s scallop and prawns dish, however, was very mediocre, fishy smelling, and did not have much of any taste in the sauce. Also, the angel hair pasta that I had, tested no better than cheap Chinese noodles. When I go off pasta, I really want homemade or something that makes me think homemade. Really trash. Overall, this being our fourth time to the restaurant, over the last four years or so, I probably will go somewhere else next time instead of here. I just wish we had more personality and this generations wait staff, to actually chat with you at times and identify with the menu that they’re serving. There is really a lack of recommendation or chatter during the entire dinner, nearly us looking around going when are we going to get served after minutes of waiting just to get our drink order in. If you want a better Italian experience, go to the Italian place up in Oakley next to the Lacosta and Mr. pickles. That place makes homemade pasta and is very very good. Made reservations for 10 to celebrate ny dad’s 87th Birthday. He absolutely loves Italian Chicken Parmigiana. He said it was the best he ever had. So thumbs up to Chiantis. Atmosphere was great, not too load, we all had great conversations. After dinner our waiter brought over a slice of chocolate heaven. Michael was a very attentive server. The food was great. Chianti’s is always very consistent with the quality of food and service. Looking forward to their expansion into the larger building in the same shopping center. The food was excellent and our waiter was kind, helpful and prompt. We were sad to see some people turned away when tables remained open. Maybe the new location will prevent this from happening. The prawns and pesto app was delicious. Great service and even better food. This is a special place for my wife and I. Thank you Chianti's! Service and food were both excellent. And the value was great! We will definitely return. Reservations on Valentine's Day - they were extremely busy but we were seated promptly. Full menu not available, however selections were great. They were out of a few things - understandable due to the volume, so we understood. Will go back on a "normal" day to sample a wider menu. Food was great and service attentive. It was Valentines evening so felt a little rushed. We had our date night the night before Valentines. I had googled the restaurant as we had never been and OpenTable populated so I submitted a reservation. The restaurant is very cute! Small...probably capacity of 70. Tables were set...linen tablecloth's and napkins, silverware and glasses. To my surprise when we were served our sodas in plastic bottles with a glass/ice. One server for our side of the restaurant and it became busy...too much for 1 server to handle. Bread came out after meal was served. Our entrees were delicious! This is not a kid friendly restaurant... Menu ala Carte dinners range from $17 on up. Will definitely go again. Absolutely delicious food! Mussels, clams, prawns and salmon in a delectable sauce. The perfect way to celebrate my birthday. The recommended wine was spot-on, and complemented my husband's lasagne as well. 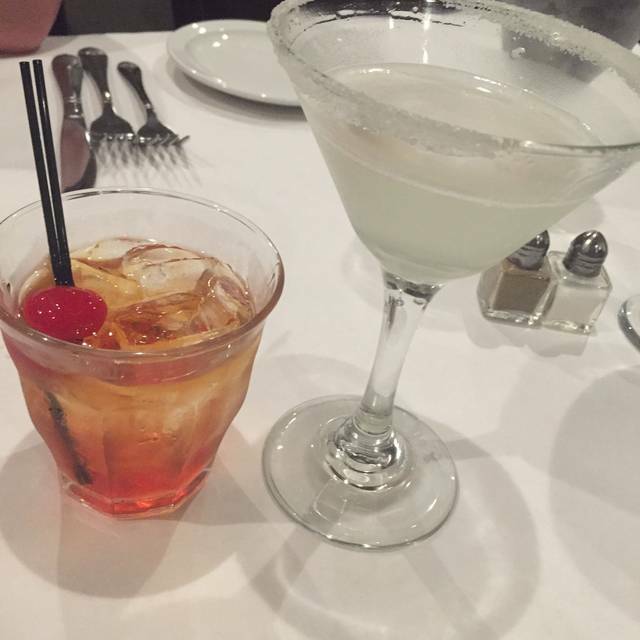 Started with two Lemon Drops, so good! Great restaurant, looking forward to my next time! Went for a friends birthday dinner. Wonderful evening. Excellent food. Great service. Michael our waiter was awesome, we always request him. We love this place! Food and Service is fantastic - every time. Highly highly recommended. Great for a date or taking the family. One of our regular go-to restaurants in the area. Had company from Seattle and everything was perfect! Fantastic food, excellent service & wonderful overall experience again— has definitely become one if our favorite local restaurants! We had a wonderful dinner. My husband and I both had the lamb...very good! We also enjoyed the pesto prawn appetizer. The service was very good. Going early on a Monday was perfect for enjoying a nice evening of conversation with my husband. Great place with superb cuisine. Just don’t go during the lunch hour as service may be poor due to low clientele patronage. Excellent wuality of cuisine mske up fir slow service during lunch. Evenings are great. Service is good. Great overall experience & we will be back again! This is the second time we’ve eaten at Chianti and again we were not disappointed at all. We celebrated a birthday there and had a great time. 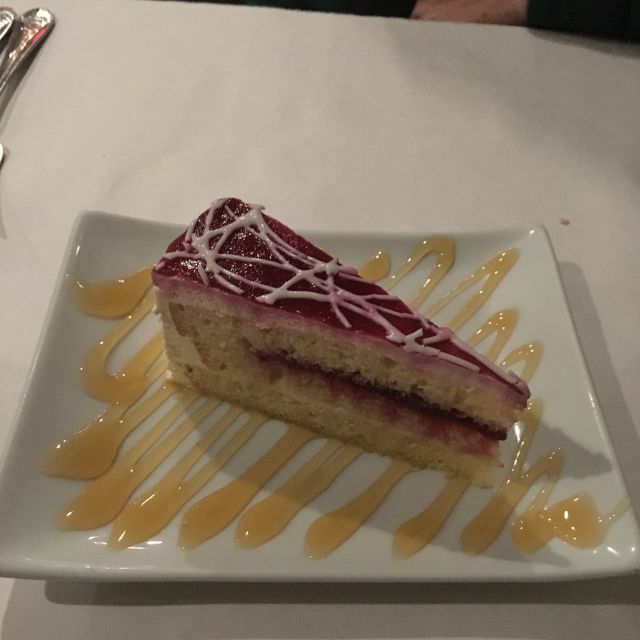 The cocktails are good, the entrées are excellent, the soup and salads are delicious, the desserts are yummy and the waiters really take care of you without hovering. We will be back for sure. Great place to go. Staff is friendly and if you go more than once they remember you and what you like. Can't wait to see their new location. This was our second time at chiantis. We had a great time again. The food was excellent and so was the service. Michael was our server again. He always does a exceptional job, making us feel welcomed. We will be back. Love this place. Always a wonderful evening. Great menu, excellent service. Michael is our requested waiter. Attentive and friendly. Thought it was a bit pricey, my caesar salad was a little dry and I went there for the Lasagna and it wasn't even on the menu. Have been to Chiantis several times now. Enjoyed every meal, noise level can be distracting if you are hoping for a nice, quiet time.